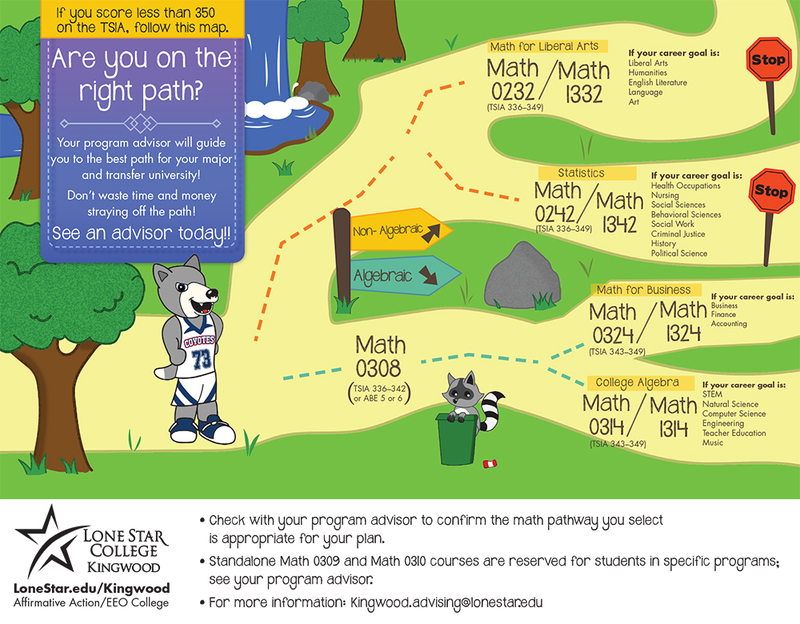 Students placing into developmental math courses now have new options - see the poster below and reach out to an advisor for more details. This page contains information on resources, events, and services for students. To learn about your textbook options for your course, please contact the Lone Star College Bookstore. Visit the LSC-Kingwood Career Services website for information on career exploration assessments, job boards, resume writing guidance, interview tips, upcoming events, and how to reach the career center for more assistance. Visit the LSC-Kingwood Counseling Services website for information on resources and services. Vist the LSC-Kingwood Testing Center website for information on testing center hours and policies. Lib Guide: Why Do We Write Proofs?